When state judges hear OUI cases without a jury, they acquit the vast majority of defendants, no matter how blatant the alleged offense. It is one more way Massachusetts stands out nationally — for all the wrong reasons — on this crime. State Trooper Matthew Sheehan took a suspected drunk driver into custody in Everett. This story was reported by Globe Spotlight Team members Marcella Bombardieri, Jonathan Saltzman, and editor Thomas Farragher. It was written by Farragher. The case appeared airtight. The driver, by just about every measure, was drunk. As a police officer watched, he sped down Southampton’s College Highway at 2:30 one morning, twice drifting over the center lines. The 26-year-old railroad worker’s speech was slurred, his eyes were bloodshot, he smelled of booze, the officer said. He couldn’t walk heel-to-toe in a straight line and flunked four of five roadside sobriety tests. Back at the station, when the driver blew into the breathalyzer machine, the result was .13. That’s well over the .08 percent blood-alcohol content that is the legal limit nationwide, and usually well beyond challenge by even the most resourceful defense attorneys. A courtroom slam dunk. Or so it seemed. But 10 months later, in Northampton District Court, Judge W. Michael Goggins wasn’t so sure. On video the police shot during his arrest, the defendant looked antsy but otherwise fine, the judge declared. “I’m going to give you a break,’’ Goggins said during a bench trial in February, and then rendered his verdict: not guilty. Goggins’s finding was anything but exceptional for drunken driving cases heard by judges, presiding without a jury. It is, in fact, the rule, a Globe Spotlight Team investigation has found. Frustrated state judges have complained over the years about juries going soft on drunken driving defendants - people whose circumstances and plight jurors may relate to. But it is judges themselves, many of them, who are most inclined to give those driving drunk a second chance - a chance, sometimes, to drink and drive and endanger the public again. The judges’ acquittal rate now exceeds 80 percent across Massachusetts, the Globe’s detailed review of thousands of court documents shows, meaning at least four out of five alleged drunk drivers who place their fate in the hands of a judge are walking out of court free of the burden - and penalties - of a guilty verdict. Free, like one acquitted driver who barreled the wrong way onto a Route 1 ramp - and slammed into an oncoming car, sending both drivers to the hospital. Or like another, who deliberately ran over a man, leaving him bloodied and lying on the ground, during an early morning confrontation on Route 28 in Middleborough. Or free to gloat, like the woman who brazenly bragged to Plymouth police that “my OUI that I have is going to get thrown out, and [my lawyer] will take care of this one, too,’’ during her arrest for drunken driving only a month after she allegedly hit a truck with more than twice the legal amount of alcohol in her bloodstream. And she was right: Not guilty on the first. Not guilty on the second. Six years after state lawmakers enacted Melanie’s Law, which established tougher drunken driving sanctions, the actions of some judges, presiding day after day over sparsely attended Massachusetts district court trials, amount to a selective nullification of the state’s drunken driving crackdown. The 80-plus-percent acquittal rate represents a degree of leniency virtually unsurpassed in the United States, several public safety specialists told the Globe, and it is about 30 percentage points higher than the acquittal rate by juries. In some counties, the rate of acquittals by judges runs even higher. Judges in Suffolk County, for example, are acquitting drunken driving defendants 88 percent of the time in bench trials. Plymouth County judges are ruling against prosecutors 86 percent of the time. And some judges are almost completely unwilling to convict, the Spotlight review found, with acquittal rates exceeding 90 percent. The state keeps no such data. In fact, top judiciary officials say they were surprised, but not alarmed, that “not guilty’’ was overwhelmingly the verdict of choice for many judges. The state court system doesn’t track such trends; in fact, its new $75 million computer system can’t. The Spotlight Team surveyed district attorneys and pored manually through dockets to assemble this analysis. But the baleful effects of this trend are apparent to any regular visitor to court. Savvy defense lawyers advise clients to waive their right to a jury trial and opt for a bench trial, where a judge alone decides. In some counties, that means two or three times more trials in front of judges than juries. Lawyers can sometimes maneuver, through repeated postponement of hearings, to win assignment of their case to one of the judges with a track record of leniency. And the pattern of rulings from the bench has led some police officers to lose enthusiasm for aggressive drunken driving enforcement. Drunken driving arrests are down 16 percent in the state since 2008, a trend no doubt driven in part by reduced police staffing levels, but also, officials say, by a sense among police that there is no firm backup to street-level enforcement in the courtroom. Indeed, in response to the Spotlight findings, prosecutors, police, and anti-drunken-driving advocates say the scales of justice for one of the most common crimes prosecuted in Massachusetts courtrooms are now tipped dramatically - and dangerously - out of balance. Connolly, other judges, and many defense lawyers argue that the conviction rate is low because prosecutors, sensitive to public opinion, are loath to dismiss flawed OUI cases that lack evidence. “What happens is rather than the DA conceding that they can’t prove the case, they try the case jury-waived knowing that the judge is obligated to acquit the person when there’s no substantial evidence,’’ said defense attorney Randy S. Chapman, a former Essex County prosecutor. The Globe, in the scores of cases monitored for this report, could find little to support that broad contention. Most cases, particularly those involving first offenders, are resolved without the need for trials. In fact, 85 percent of about 17,000 OUI cases each year are disposed of before trial - and of those well over half are “continued without a finding,’’ an outcome that determines neither guilt nor innocence but carries penalties, including loss of license, stiff fines, and mandatory alcohol education. The Globe’s investigation centered on those remaining cases that are tried to a verdict by a judge - well more than 1,000 cases each year. It is these cases that provide the clearest window into how seriously, or not, drunken driving offenses are treated by some judges because these are the cases most directly in their control. A close review of those bench trials made it clear that drunken driving can at times be a difficult charge to make stick. The legal standard of proof beyond a reasonable doubt is not easily achieved. The Globe reviewed cases where a not guilty verdict was clearly the just outcome, cases in which the police work was sloppy, the prosecution was unprepared, or the indicators of impairment were equivocal. But “beyond a reasonable doubt’’ does not mean beyond all doubt. And after months of monitoring trials in district courts across Massachusetts, poring over thousands of pages of police and court records, and listening to scores of recordings of trials from the past two years, the Spotlight Team found ample evidence, richly detailed in case upon case, that some judges are routinely stretching reasonable doubt well beyond reason. - Just after midnight in August 2008, Framingham police responded to a car crash on Route 9 that sent both drivers to the hospital. The driver of a 2001 Nissan testified that he’d had four or five Coors Light beers at a nearby restaurant. On his way home, he slammed into the car in front of him, distracted, he said, after a cigarette fell into his lap. Police said the driver’s speech was slurred, his eyes extremely bloodshot, and he had difficulty sitting upright. An emergency room physician at Marlborough Hospital was so alarmed that she called police to report that the driver was “highly intoxicated’’ - a fact the doctor testified to in court last year. “This is a case where . . . a police officer on the scene forms the opinion he’s under the influence of alcohol and then a wholly separate individual that’s been doing emergency medicine for decades comes to the same exact conclusion,’’ the prosecutor told the judge. But the defense attorney argued that “it was simply an accident.’’ Judge Paul F. Healy Jr., without comment, asked a clerk to read his verdict. Not guilty. Healy, who retired nearly a year ago, said he did not recall the case. He said OUI cases can be difficult to prove because they often hinge on circumstantial evidence. - After Hudson police responded to a 1 a.m. car crash in October 2009, they found a silver Mustang partially submerged in Bruces Pond and a wet set of footprints heading from the pond toward the residence of the car’s registered owner. Police knocked on the defendant’s door. He greeted them with a cut on his forehead and a bloody lip but no explanation for how his car ended up in the pond. He appeared to be drunk, police said, and a .11 breath test result confirmed it. He told police that he had been driving the car just 20 minutes earlier when he visited an Irish pub and a veterans hall. “He said he had driven home, parked in the driveway, and that was the last time he saw his vehicle,’’ a Hudson patrolman testified at trial. But that story changed when Daniel Connor, Hudson’s deputy fire chief, arrived at the man’s home and asked to speak to him privately. Connor had a team of divers ready at the pond. He didn’t want to risk danger if the submerged car was empty. 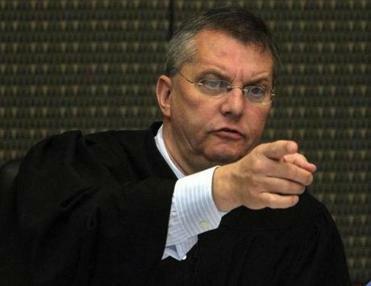 But Judge Peter J. Kilmartin did not wait for the defense’s case. Not enough evidence that the man had been driving, he said. Not guilty. When the case went to trial, the driver’s attorney said he chose a bench trial because he knew a jury would find it “extremely difficult to look past the words of the defendant.’’ Then he argued that his client’s statements of guilt were a sign of good character and nothing more. “Whether he thinks he’s guilty or not, it’s irrelevant, frankly,’’ the lawyer said. Thirty-five minutes later, Barrett rendered his verdict, without explanation: not guilty. This pattern of judicial rulings in the face of seemingly overwhelming evidence is sounding alarm bells in State Police barracks, most district attorney offices, and local police stations, and among advocates. “Some judges may not agree with the strictness of the law as enacted,’’ said Taylor A.B. Mills, the Hingham police chief who retired this year. Most first offenders receive probation, attend an alcohol education program, pay fines, and lose their licenses for 45 days. Second offenders must attend a two-week inpatient treatment program or serve two months in jail, and they lose their licenses for two years. Third offenders face at least six months in jail and eight years without a license. Zukowski echoed a sentiment consistently expressed by police officials across the state: Judges’ reluctance to convict has dampened enthusiasm among police to enforce. “A lot of guys just don’t do them anymore,’’ one state trooper said during an early morning sobriety check in Chicopee in April. Last spring, when the Massachusetts chapter of Mothers Against Drunk Driving honored police officers for exceptional enforcement of OUI laws, the head of the Massachusetts State Police, Colonel Marian J. McGovern, delivered what amounted to a pep talk to officers, some of whom said they have never prevailed at an OUI bench trial. “Our court system is not following through on the good work that you’re doing,’’ McGovern told them. Some officers say judges’ reluctance to convict has dampened their enthusiasm to enforce. “A lot of guys just don’t do them anymore,’’ a state trooper said. In Plymouth County, as some judges’ acquittal rates surpassed 90 percent, prosecutors began keeping score and in 2008 registered their alarm with Regional Administrative Judge Rosemary B. Minehan. The meeting was chilly - and unproductive, prosecutors said. Goggins defended his work on the bench, saying he has not been easy on people who drink and drive. “The Constitution guarantees a defendant a presumption of innocence, regardless of the charge, and a defendant must be acquitted unless the government’s proof leaves the fact finder with an abiding conviction to a moral certainty that the charge is true,’’ Goggins wrote in an e-mail. His boss, Chief Justice Connolly, agreed. “It’s my belief that our judges are taking these cases one at a time, applying the law, holding the Commonwealth to their proof, and making decisions in an impartial fashion,’’ she said. Connolly was not aware of the high acquittal rate until the Spotlight Team met with her at her office. Drunken driving is one of the most commonly tried offenses in Massachusetts, but the Spotlight Team found that some judges are far from masters of the law’s nuances. In September, after the Globe began making inquiries for this story, state court administrators held training seminars on Massachusetts OUI laws for all district court judges. Connolly said the sessions were routine “professional development.’’ But there is little question about the need for them. For example, for nearly a year - from July 2007 to June 2008 - district court judges were under the false impression, and instructing juries, that the state’s 425 breathalyzer machines had a margin of error of .01. That jeopardized cases based on breath results at or near .08, the legal limit. After State Police and the state’s District Attorneys Association protested, the judges realized their mistake. The machine’s margin of error is actually a small fraction of that, they now acknowledge. But the effects of the mistake linger. Recent cases reviewed by the Globe found the higher margin of error rate still being invoked by judges without challenge. During a court hearing last March, Judge J. Thomas Kirkman quoted case law for the outdated jury instruction almost word for word. Sometimes, judges’ reasoning leaves prosecutors outright flabbergasted. Early this year, for instance, a judge in Worcester District Court overruled the verdict of a jury, which had convicted a man charged with his second OUI offense, relying chiefly on a breathalyzer test result of .11. Judge Margaret R. Guzman suggested that perhaps the driver’s blood-alcohol rate was lower when he was stopped by State Police at a checkpoint than it was a half-hour later when he took the breath test aboard a specially equipped police bus parked nearby - that his body was still absorbing the booze he had consumed and his blood-alcohol content was still rising between the stop and the test. While prosecutors consider this theory far-fetched, it is a biological possibility. “The court has serious concerns about the level of proof that was supported with the .11,’’ Guzman said in February. Prosecutors are appealing. The jury foreman, who was unaware of Guzman’s decision until notified by the Globe, is bewildered. The Globe examined the results of 29 OUI bench trials Guzman conducted last year. She acquitted all 29 defendants. Prosecutors, police, and defense lawyers say that because of the Spotlight Team’s investigation into the high acquittal rate in these cases, judges, aware of the newspaper’s forthcoming report, have begun in recent weeks discouraging defense lawyers from opting for OUI bench trials. The Spotlight Team obtained its data through public records requests with district attorney offices. To assure the data’s accuracy, the Globe hand-checked more than 1,500 OUI courthouse files and found that, if anything, prosecutors had slightly underestimated the acquittal rate. The newspaper found the prosecutors’ tally for 11 judges, among those most likely to acquit drunk drivers, to be 99 percent accurate. More difficult to discern was how the pattern of leniency in bench trials here compares with courts in other jurisdictions. There is no national clearinghouse for such data, and researchers who have tried to make comparisons have been frustrated by the fact that laws, court systems, and accounting methods differ from state to state. But a Globe survey of what data is available from other states found nothing approaching the bench trial acquittal rate here. When judges rule at OUI trials in Arizona, the defendant is found guilty 75 percent of the time, according to data from that state’s Supreme Court. Colorado and Hawaii have a 64 percent conviction rate in jury-waived trials. The judges’ reluctance to convict fits a pattern in Massachusetts: The state has been slower than most to embrace laws designed to curb drunken driving. 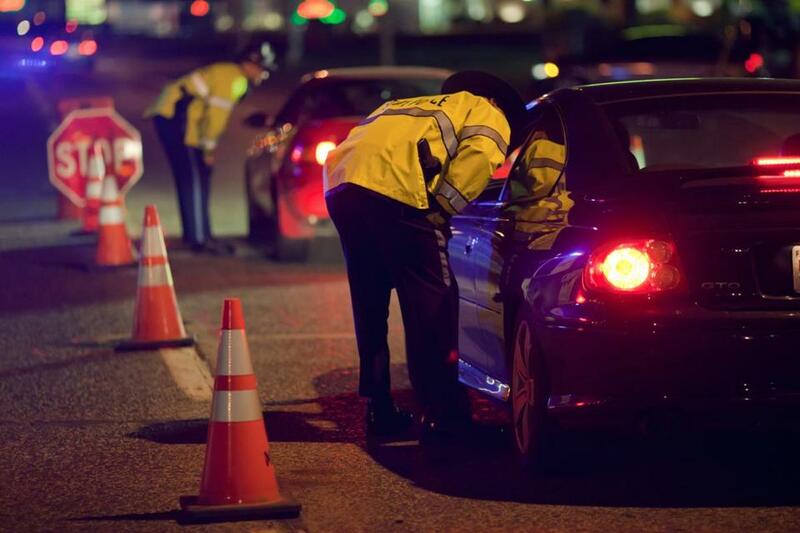 Along with Rhode Island, it remains one of only two states in which the refusal to take a breath test is not admissible as evidence at a trial. The state’s test refusal rate was 41 percent, second only to New Hampshire, according to a 2005 federal survey. The average refusal rate in Massachusetts over the past three years was 36 percent, according to State Police. When the state Legislature considered a measure that would allow prosecutors to use a person’s refusal to take the test as evidence in court, the state’s Supreme Judicial Court, in a 1992 advisory opinion, said that the proposed measure would violate a person’s privilege against self-incrimination under the State Constitution, which, the SJC said, affords individuals greater protection than the US Constitution. In 2003, Massachusetts became the last state in the country to enact the so-called per se law, which created a separate category of operating under the influence offense based solely on the results of a chemical test that finds a blood-alcohol content of .08 percent or greater. The Globe’s review found that some judges may have had a special reason to empathize with the plight of defendants. At least two with a consistent track record of acquittals have personal experience with the state’s OUI laws. Judge William F. Mazanec III was arrested while an undergraduate at Springfield College in the early 1980s and pleaded guilty. “I completed the customary first offender treatment program and learned a valuable lesson about taking personal responsibility for my actions,’’ he said on his application for judicial appointment. Police and prosecutors in Franklin County have met with Mazanec and expressed their concern about his 86 percent acquittal rate. From 2009 through early 2011, Mazanec presided over 42 OUI bench trials, and found 36 of the defendants not guilty, according to the local district attorney. In a statement, Mazanec said his youthful “mistake’’ did not interfere with his ability to prosecute drunken driving cases when he was an assistant district attorney nor with “my ability to neutrally preside’’ over OUI trials as a judge. Judge James J. McGovern was charged with OUI in Scituate in 1995 and was acquitted at a bench trial. He was appointed a judge in 1999, left the bench three years later, and returned in 2006. He disclosed his OUI arrest on his judicial questionnaire in 1999 but not when he was reappointed. McGovern presided over 11 OUI trials in 2009 and 2010 in Bristol County, according to records from the district attorney’s office there. He found all 11 defendants not guilty. “Experiencing the process from both sides of the bench has provided me with a more informed, educated perspective,’’ McGovern said in a prepared statement. He was represented at his OUI trial by attorney Daniel W. O’Malley of Quincy, a former district court judge who has become a prominent OUI defense lawyer. He’s also the man many members of the judiciary call on when they face troubles of their own. When, for example, Judge Minehan’s husband (now deceased) was charged with OUI in December 2006, O’Malley represented him. He was acquitted at a bench trial. O’Malley, who said he does not try any cases before Minehan or McGovern, figures prominently in an apparent recent ethics violation by Judge Robert G. Harbour. Earlier this year, a Bellingham man, who admitted having five or six drinks just before he was stopped by police while weaving down the Southeast Expressway at 2:30 one morning, stood before Judge Harbour in Quincy District Court. Next to the defendant was his attorney, O’Malley, who had frequently ruled from the bench in Attleboro District Court in the years when Harbour had been an assistant clerk magistrate there. Harbour summoned O’Malley and Norfolk Assistant District Attorney Jaclyn K. Sexton to the bench. He told Sexton he and O’Malley used to work together, and that he would recuse himself if she wanted him to. “I just wanted to be up front,’’ Harbour told the prosecutor. But Harbour was not being “up front.’’ He was holding back a key detail: Court administrators had forbidden him to hear cases in which O’Malley was a lawyer. In his courtroom disclosure, Harbour affected the tongue-in-cheek tone of a football player speaking of a tough-but-beloved coach. But, according to multiple sources familiar with their relationship, there is little adversarial about it. After O’Malley left the bench in 2004, Harbour, who was authorized to take bail from accused criminals, began to steer clients to O’Malley, said the sources, who spoke on condition of anonymity. O’Malley’s business cards were spotted on Harbour’s desk, one source with direct knowledge of the situation said. It is a violation of state guidelines for anyone taking bail to refer defendants to lawyers. Judge Paul C. Dawley, a witness at Harbour’s nomination hearings in 2006, believed that questions about Harbour’s conduct as a clerk had been resolved. In an interview, O’Malley said he would be surprised if Harbour had been passing out his business card. But he said because he was rebuilding his law practice after leaving the bench, he was buying business cards in bulk and handing them out everywhere. In October 2006, Governor Mitt Romney nominated Harbour, a combat veteran of Vietnam, to be a district court judge. Among the witnesses at his confirmation hearings? Attorney Dan O’Malley. And Judge Paul Dawley. Harbour’s nomination was unanimously approved. This year, he transferred into the courts under Dawley’s supervision, but with a critical stipulation: hear no cases when Dan O’Malley is at the defense counsel’s table. But that’s exactly what happened during the June 21 trial in Quincy. A state trooper testified that O’Malley’s client was confused after he stopped near the Braintree split at 2:35 a.m. He smelled strongly of booze, the trooper said, was unsteady on his feet, and couldn’t stand on his left leg for more than two seconds. He lifted his right leg for 20 seconds, not 30 as instructed. Nonsense, O’Malley argued. 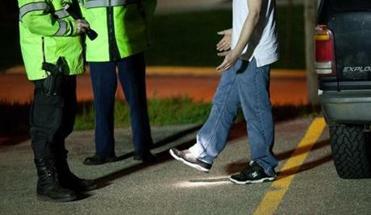 His client gave a “remarkable performance’’ on the field sobriety tests, he said. Not guilty, Judge Harbour said. Harbour declined to comment for this story. For violating the edict not to hear O’Malley’s cases, Harbour has been reassigned to Middlesex County. More serious discipline is pending, sources with direct knowledge of the investigation told the Globe. Police, prosecutors, and those working to toughen Massachusetts’ OUI laws say the pattern of bench trial acquittals can have dangerous consequences for the public. Businessman Thomas Kennedy could be their Exhibit A.
Kennedy’s first OUI arrest was in 1989, but he was found not guilty by then-Boston Municipal Court Judge John A. Pino, who was later reprimanded for “willful misconduct’’ involving leniency in drunken driving cases, including turning off the courtroom tape recorder to hide his actions. Kennedy was back in court again in 2001. This time, police said he drove 75 miles per hour in a 50-mile-per-hour zone, nearly sideswiped cars in the next lane, and badly flunked all the field sobriety tests. He refused the breathalyzer. He again opted for a bench trial. And, again, not guilty. That meant Kennedy had a clean record last November when, at age 60, he drove his Mercury Mountaineer SUV the wrong way on a Route 1 onramp in Danvers, plowing head-on into an oncoming car. Police found Kennedy drenched in blood, with large gashes on his head, face, and neck. His blood-alcohol level, measured at Beverly Hospital, was .19, more than twice the legal limit. Kennedy spent 20 days in intensive care. The other driver had head injuries and continued to suffer from dizziness seven months later. Prosecutors pushed for stiff penalties based on the accident’s seriousness. But Kennedy’s lawyer said that would be unfair. Judge Michael C. Lauranzano treated Kennedy like a typical first offender, continuing his OUI charge without a finding of guilt or innocence. “As a general legal principle a judge can never consider’’ a prior acquittal, Lauranzano told the Globe. As the judge was examining Kennedy’s lengthy history of driving infractions in court that day, his lawyer pointed out to the judge that he had no prior convictions. “Are you the lawyer on all of these cases?’’ the judge asked. “Some of them,’’ Tassinari replied. “He’s an annuity for you,’’ the judge said. The Spotlight Team would like to hear from readers with tips about how the state’s courts are handling drunken driving cases. The telephone number is 617-929-3208. Confidential messages can also be left at 617-929-7843. Matt Carroll of the Globe staff performed database analysis for this project. Globe correspondents Alexa McMahon, Callum Borchers, Jialu Chen, and Taylor Adams contributed to this report.